Are You a Good Recruiter? Are you a good recruiter? You probably think you are. You’re a recruiter after all. What with the inescapable financial element of this biz, you’ll have a number against your name from day one. And hey, you might be top biller? But how good does that make you? To a degree, it depends on the number. In some agencies £150k is good. In others, you’d be average billing £500k. The REC claim average annual sales for perm recruiters in the UK to be £96k, over an average 20 yearly placements. Though this number did come from a survey. The mode bracket for billings on Hunted, out of thousands of anonymous recruiters is £100k-£200k. So, are you good if you bill average or over? Or is there more to the question than financial performance? 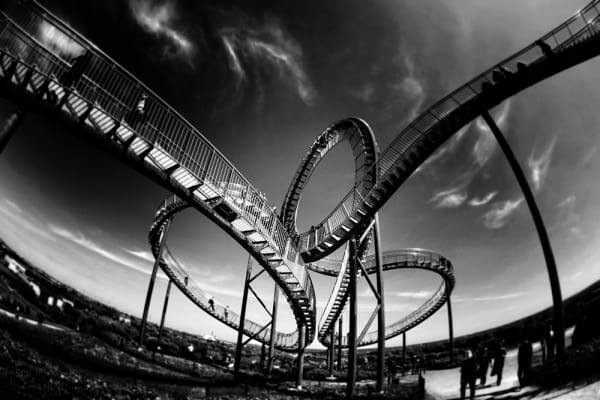 If you’re not 100% committed in recruitment, you’ll be looking for an exit early doors. Either from the business you’re in or the industry itself. Equally your employer will almost certainly have suggested an alternative career path if they’ve found your passion waning. Therefore, if you’ve reached anything over the 3 year mark, you have the ability to be good. Whether you are or not is down to a number of factors. Your market. Your boss. Your emotional state. Your company. Your colleagues and plenty more. Changing just one of them’s actually quite difficult to do. But you can. With enough time. An observation I’ve witnessed personally is the result of continued effort in a dedicated area. Almost without exception, the top billers I’ve worked alongside have recruited into a niche they enjoy. They like speaking to their network and they become the most knowledgeable person they know. And probably has as much to do with intelligence as it does attitude and perseverance. Those billing anything above £300k+ on Hunted are the longest in the tooth. Take for example the amount of competition you have. Year one in a specialism you might have 5 serious competitors. All of whom you see on group emails. Or hear their names in meetings. After year 3, how many of those do you think will still be there? What about after year 5? Because I’d like to suggest after that point there might be one other competitor. You’ll have five years’ worth of knowledge about candidates abilities. Great relationships with clients. A network that’s precise. And a patter that’s practiced. Would your client trade that in for someone without it? And this goes some way to explaining why (although not universal) top billers are normally the most experienced. Some of the best recruiters I’ve worked with, would by their own admission, not be the most educated person in the room. They weren’t necessarily great at school. They may not be the sharpest tool in the sky. Or the brightest star in the shed. But ask any single one of them about recruitment or their niche, and you won’t get a better answer. In contract recruitment it’s perhaps more difficult to get to the 3 year point. It’s hard to build up a book of contractors early, and keep those people there. Permanent recruitment’s easier at the beginning. But it’s potentially harder to maintain numbers as high as contract recruiters over the long-term. Retained search may be somewhere in the middle. But all of them are bumpy rides in the same theme park. Selling retainers is something you become comfortable with. Selling them and managing long-term clients has elements of contract. But rising to each mandate is more like the project work of perm. To judge yourself as good in any of the above means consistency. It means having a growing contract book in year 2. It means watching your placement numbers rise with more clients. It means you’ll be able to fulfil a retainer, with a repeat client or a new one. Because even if you’re billing £300k, you might well be the lowest biller in the business. Should you be deterred if you have a bad year out of nowhere? Bad years happen. Speak to any recruiter. Sometimes, things don’t go for you. Those periods are often followed by purple patches. Kudos from clients and candidates is as much of a measure of your skill than a number on a whiteboard showing a particular period. But, whilst nice, it doesn’t pay the bills. Imagine you were going to start a business, right now. Imagine you could hire the five best recruiters you know. Who would you hire? And why? Where would you put your own talent in line with those people? Because that’s a good indication of whether you believe yourself to be good. Self-analysis is one of the best benchmarks going. Good recruiters know what they’re not good at. It might be something they get help with. They’ll learn in that area more than others, or maybe utilise technology to hack the problem. Let’s say it’s admin or typing up notes. If a recruiter works too quickly to bother with due diligence on a database, they might use tech to write up their notes. Or a tool to take notes on calls. Or go old school, and employ someone to do it for them. This is a level of self-analysis which can take you from average to good. 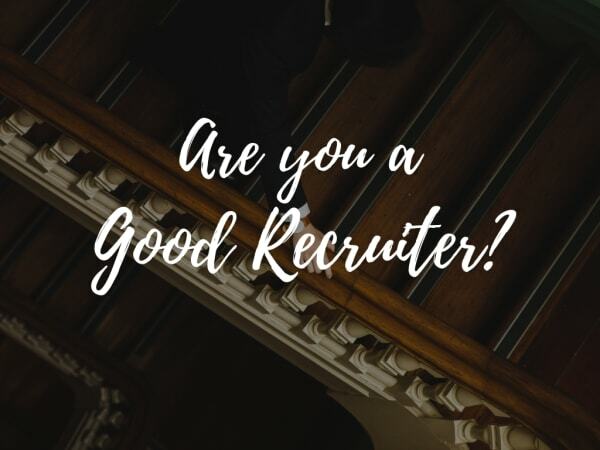 So are you a good recruiter? Only you’ll know the answer. But as it comes to the end of the year, with awards evenings, final sales board placings and Christmas parties, don’t be overly affected by others opinion of you. Being good in this game’s more than knowing you can fill roles. 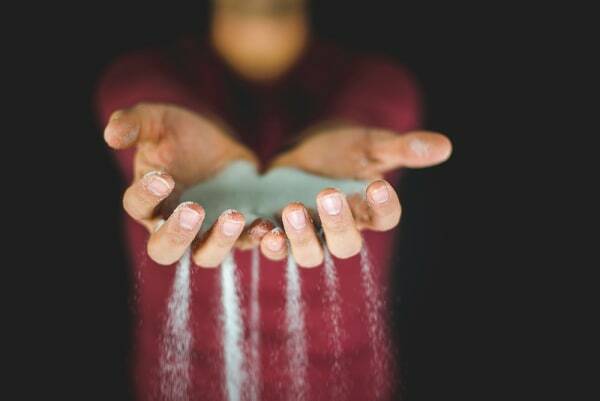 It’s knowing what will stop you filling more, and then eradicating it. It’s knowing that, whether you think you’re good or not, you can be better.